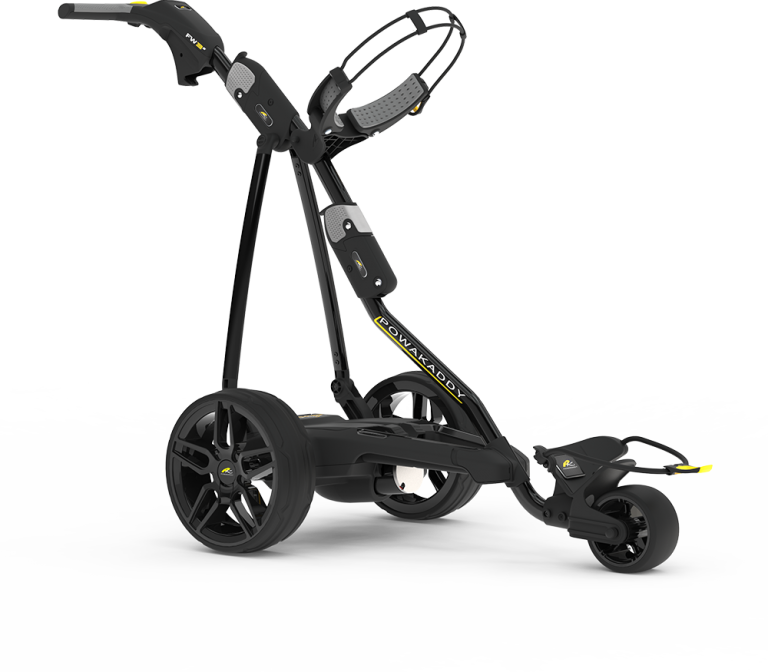 All PowaKaddy GPS trolleys come preloaded with over 38,000 worldwide golf course maps, but can be updated as new map data is available. To check which method of updates you need to follow please check your trolleys’ serial number. Trolleys with the prefix of the following serial numbers :- 00725, 00775, 00925, 00975 please go to ‘PowaKaddy GPS Trolley – Bluetooth Updates’ tab. 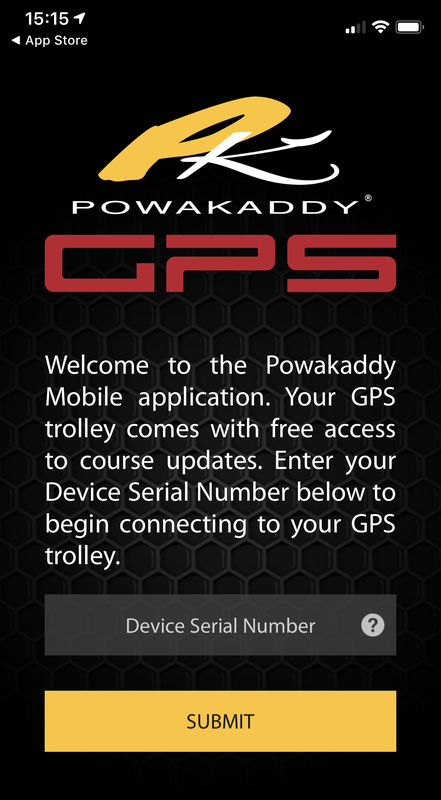 Trolleys with the prefix of the following serial numbers/letters:- A7GE or AF7G please go to ‘PowaKaddy GPS Trolley – Pre Bluetooth Updates’ tab. 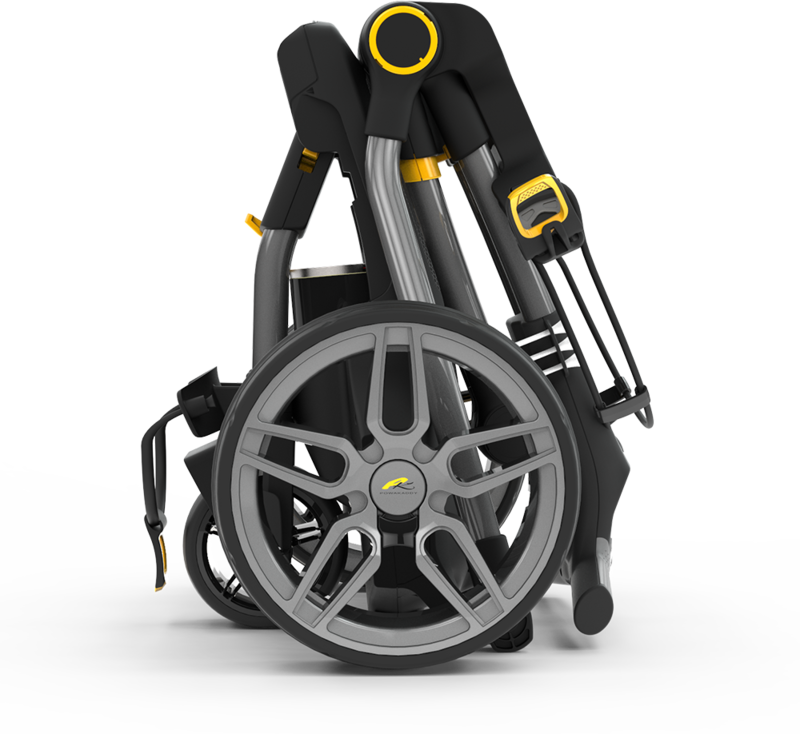 Your trolley can be updated quickly by downloading the PowaKaddy app vis iOS or Android. Manuals can also be accessed via the app. 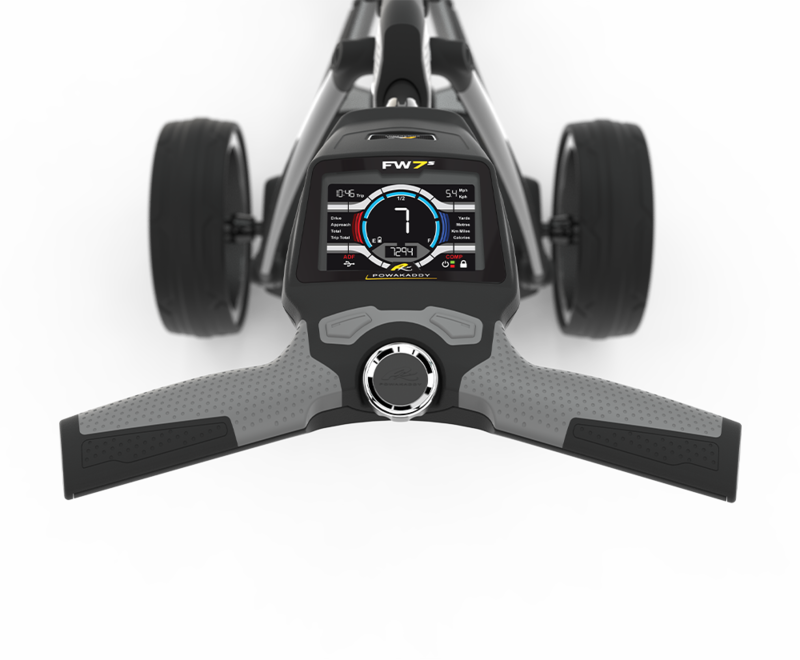 Your PowaKaddy GPS Trolley comes loaded with over 38,000 worldwide golf course maps, but can be updated as new map data is available. The update tool below allows you to download and update the latest course map data and firmware for your device in one simple to use app. Click here to download the course data update tool. Please ensure you open the correct tool for your PC/laptop operating system (Windows 64 bit only). Open the update tool app on a PC or laptop. On the underside of the handle between the handle grips you will find a removable plastic cap or rubber cover depending on your PowaKaddy model. To remove the plastic cap use a screw driver or sharp tool and then keep safe to replace after programming. 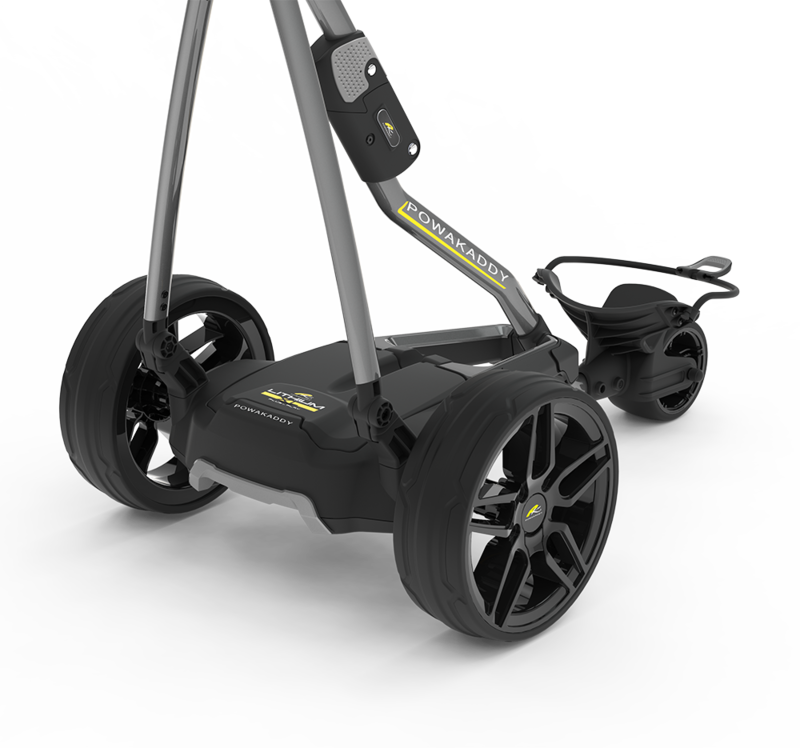 Your golf trolley is supplied with a mini type B USB programming cable. Connect the mini USB plug to the handle socket, and the other standard USB to your laptop or PC. Your trolley will need to be powered during the update, turn your battery on and connect to the trolley. With the update tool app open, click the ‘Course’ tab. The USB status icon will change to green and show ‘Connected’. Click the ‘Update Course’ tab. This will display the current map version loaded on the trolley and the latest map version available. Press ‘Ok’ to begin the update. The update may take up to an hour to complete, wait until complete before removing the cable. When complete, remove the cable from the handle and the laptop/PC and replace the USB cover on the handle.